St Oswald’s is an inclusive school with a caring Christian ethos grounded in strong Christian Values. It provides a distinctly Christian education with worship and prayer integral to the life of the school. Pupils make good progress within the curriculum and develop spirituality, confidence and citizenship. Our Governing Body is currently working with staff, pupils and parents to review our school’s key Christian Values (Spring 2018). This section of the website reflects the key Christian Values the school is currently working with. As a school community we have identified five key Christian Values which we believe reflect our school’s Christian character and ethos: Thankfulness, Compassion, Trust, Forgiveness and Hope. As a school we systematically introduce the values vocabulary with each year group, focusing on particular values to build and develop a cumulative and deep understanding that allows children to access moral and ethical thought and develop Christian character. We also actively seek to encourage the attitudes of awe, wonder and reflection. It is a time where we come together to share in God’s love and celebrate our achievements together. The school worship is based on promoting the Christian character and values which permeate the ethos of our school. As such, the contributions of staff, pupils, church clergy and other visitors are valued highly. Our worship reflects our Christian beliefs and values. However, we are also committed to respecting other faiths and cultures, showing tolerance and understanding regardless of pupils’ beliefs. Children are encouraged to discuss and share their own beliefs and those of others in an atmosphere of tolerance, trust and compassion. promote respect, tolerance and understanding for those with differing beliefs and backgrounds. The themes for whole school collective worship on Monday, Tuesday and Thursday reflect our worship plan, which is generated with members of the school community and incorporates various aspects such as a values focus, the Church calendar, our school ethos and current events. The children enter the hall accompanied by a piece of music. The candle on the table is lit and the worship begins with a greeting. The children are regularly involved in the worship, which finishes with a prayer. The candle is then blown out before any messages are given. The children then walk quietly from the hall as music is played. Class acts of collective worship on a Wednesday allow for more focused opportunities for longer periods of individual reflection and sharing opportunities based upon the week’s theme. The lighting of the class ‘shining bright and shining light’ candles (see below) signifies the beginning of class worship. The candles are blown out at the end to signal the end of the class worship. The acts of worship are sometimes planned by children and sections may be led by the children when planned by an adult. Shining Bright: an award to recognise effort and achievement in class. Shining Light: an award to recognise good citizenship within our school community based on all of our school’s core Christian Values. Pupils receiving these awards are congratulated by the collective worship leader and presented with a certificate to take home. Other children are invited to congratulate them through a round of applause. The ‘Shining Light’ takes the class star candle holder back to their classroom and the ‘light’ and ‘bright’ will light the two candles in this as part of the next week’s class worship. 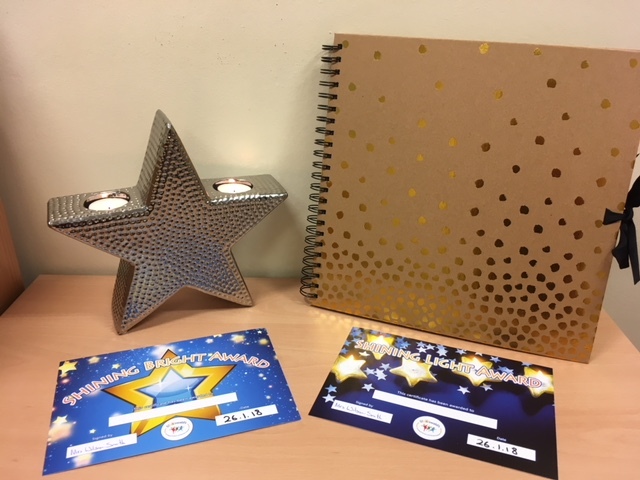 Details of both the Shining Bright and Shining Light awards are recorded in each class’ golden book which is part of the area of reflection. House points for the week are also announced during this celebration worship and the candle is blown out to signal the end of the worship. A Songs of Praise Worship includes the lighting of a candle and a statement on reflection and learning: ‘Whilst we sing, you may like to reflect on how these songs of praise can help you to learn about the values that are important to you, in our school, in our community and in the world.’ The session ends with a time for reflection or a prayer before the candle is blown out. Every class leads whole school worship once a year and parents are invited in to share the experience with the children. 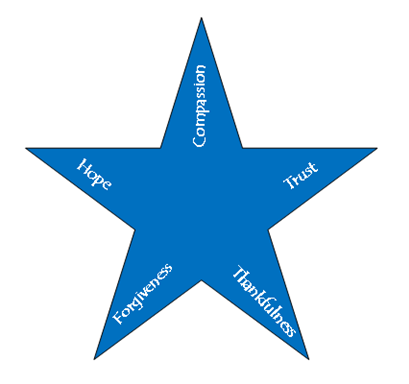 These are usually linked to recent learning and to the values that we have been focusing on. Collective worship always includes a time of prayer and reflection. A range of prayers are used including the Lord’s Prayer, and prayers written by the children and others. They are introduced in an appropriate manner with a short time of quiet. The school is actively developing the children’s confidence in reciting simple liturgy. At the beginning of whole school worship, a time of reflection and quiet is encouraged by the lighting of a candle. A cross is also displayed on the table. At the beginning of the lunch hour, grace is said by either an adult or child in each class. Prayers are also said at the end of the school day. These prayers are taken from the class prayer book and have been written by the children. There is also a school prayer. Every class room has an Area of Reflection, where the prayer book can be found. Children can use these spaces if they need a moment to reflect during the school day.